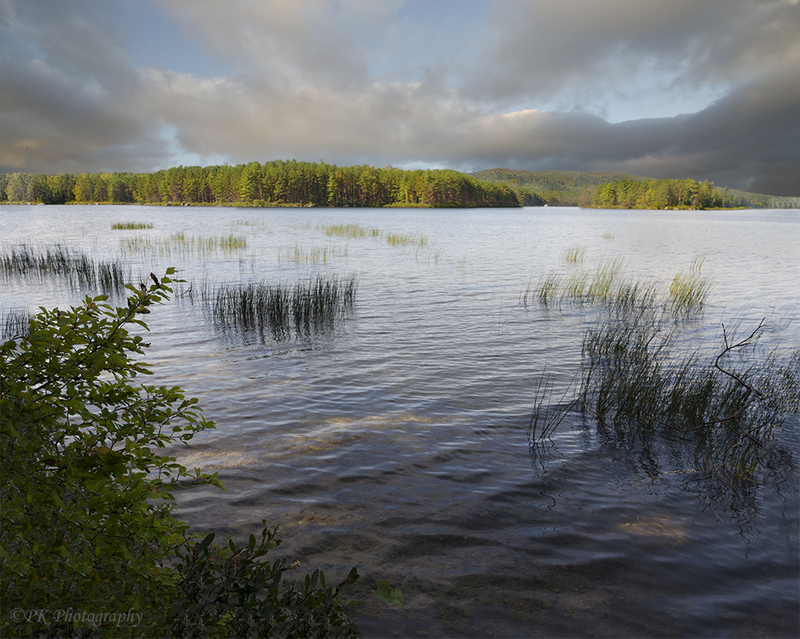 As the season changes, from the shore of Togue Pond in Maine you can see a dappling of sunlight among marsh grasses and a slight turning of leaves in the distant woods. Wonderful mood and composition, Pam. Thank you Scott! It is always nice when there is something interesting in the foreground. This was early on in the season. 24 mm lens? I used a wide angle zoom at 28mm. It was late September, definitely not peak season. I lived in Maine for many years and I can feel this scene…the visual of wind on water. Great sensory image. Thank you so much. It means a lot that a photography can evoke a feeling. The light and ripples on the water are my favorite elements. Maine is a special place to me, although I have never lived there.